Stop by Generation Green at The Forks during the week, and let me help you match foundation, give you some makeup tips, or even a mini makeover! We offer a great selection of Sappho cosmetics from Vancouver, BC., as well as products from Manitoba’s own, Pure Anada. Sappho Cosmetics offers an all-natural, organic make-up line that has been awarded champion status on EWG’s Skin Deep database. Wearing Sappho makeup feels as if you’re wearing nothing at all, it allows your skin to breathe! While wearing Sappho makeup, you receive beneficial antioxidants and essential oils that make skin smooth, soft, and radiant! Sappho prides itself on following the strictest standards for quality, and transparency with all of their ingredients, making it the industry leader in chemical free, natural beauty. 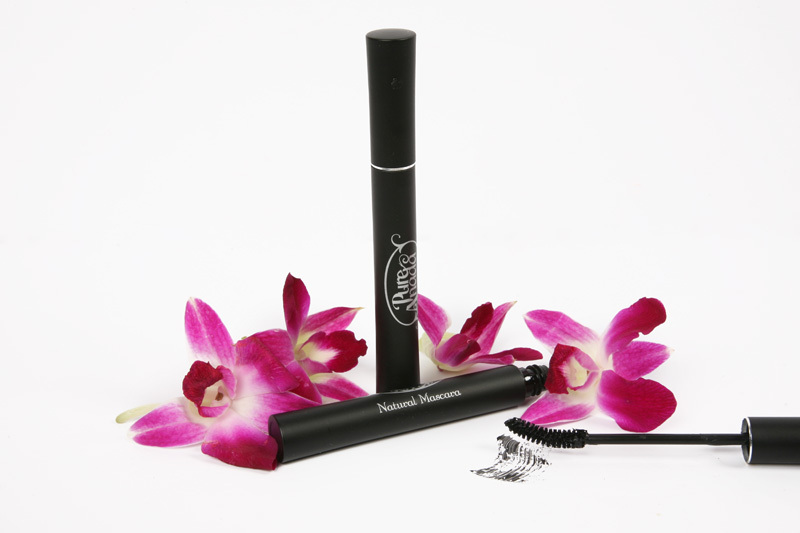 We also offer Pure Anada’s all natural mascara and eyeliner. I had been searching for a natural mascara and can honestly say, this mascara is the best! It never crumbles, applies easily without clumps, and doesn’t affect my sensitive eyes because it has been PH balanced perfectly for eyes . It’s water-resistant but not water-proof, and will definitely give you eye batting, length and volume! More importantly though Pure Anada is Paraben free, Gluten free and Mercury free. While we’re getting all pretty, you have to try out our line of Silky Nailpolishes! So incredible for long-lasting brilliant colors and shine! Silky says it best though, polish with a conscience! Silky Polishes are Non-Toxic, Hypoallergenic, Pregnancy and child safe! They are 5 free, meaning no DBP, Formaldehyde, Toluene, Camphor or Parabens! For more info on those nasties check out this page from Silky’s Website. True story here, when I go to a salon, I bring all my own stuff! I love getting pampered, but I need to know what is being put on my body. Anyways, the last spa visit I brought along the Silky Polish, and the gal doing my nails could not believe how easy the polish went on, and how shiny it was. She even called over other girls that worked there to take a peek. Other customers then started asking what I was using, so of course I told them all about Silky Polish. To sum up this post, I just have to say, we should not ever need to sacrifice our health, just to enjoy a little primping and pampering, and these companies show us we don’t have to. I like that!